There’s nothing that perks me up quite like a good meal at a wine/tapas bar. The cosy venue, sophisticated and indulgent atmosphere, and parade of small but exquisitely designed dishes (and maybe a drink or two!) never fails to put me in a good mood. 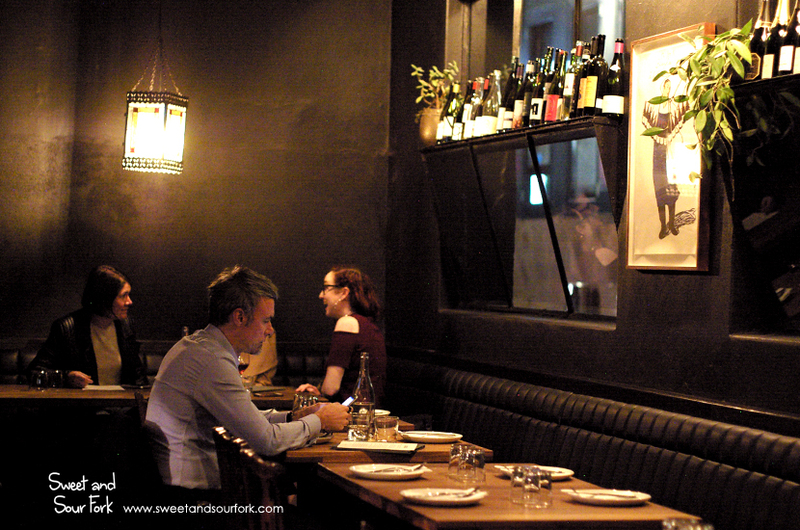 And for the longest time, my go-to spot has been MoVida Next Door. Of course, I knew about Embla – who doesn’t? It’s only the Age Good Food Guide’s best new restaurant of 2016 – but I’ve never quite mustered myself up for the visit, despite having almost-went several times. 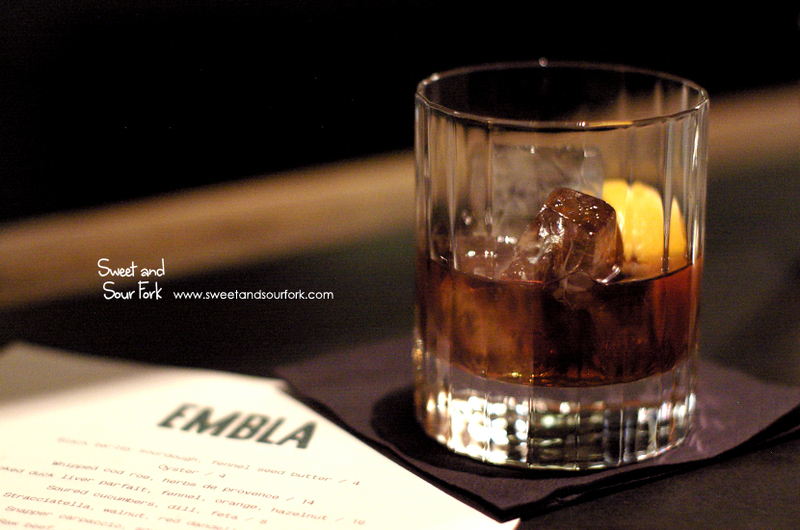 But after 3 co-workers telling me in one day that Embla is, like, the best place ever, I couldn’t delay any longer. And indeed, the warm, dark space, wafting with the smell of food cooking in the wood fire oven, is just about the greatest thing ever on a cold, rainy winter’s night. The extensive wine list is almost gibberish to me, so I asked my waiter to suggest a sweet vermouth. I didn’t manage to catch the name, but I do remember that this red was a balanced blend of sweet spices and bitter botanicals. Not only was it refreshing, but the bitterness of the herbs also served as a great aperitif, readying my stomach for the meal ahead. Oh and, it costs $12 a pop. Unless it’s complimentary, I usually avoid bread at a restaurant, preferring instead to order the more interesting dishes. 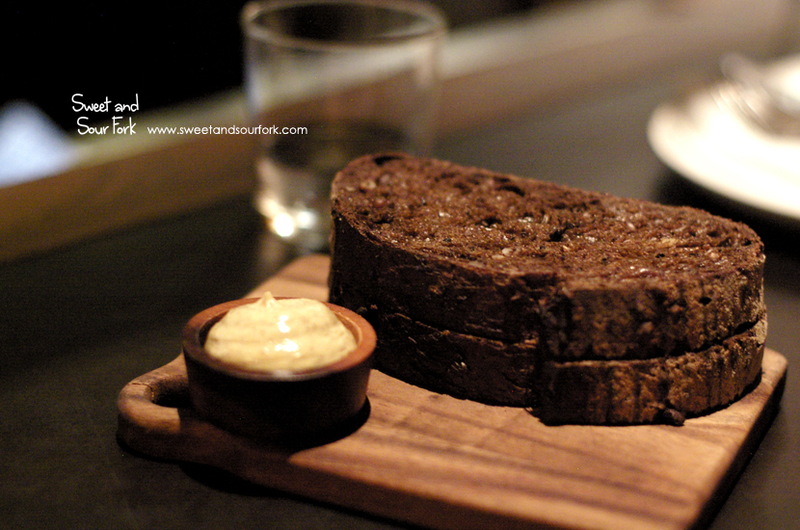 But when it came specifically at the recommendation of our waiter, I decided to break that rule for a serve of Black Barley Sourdough, Fennel Seed Butter ($4). And indeed, it was fantastic – thickly sliced, the darkly rustic sourdough boasts a crunchy crust, and a centre so moist and pliant it could almost pass for cake. 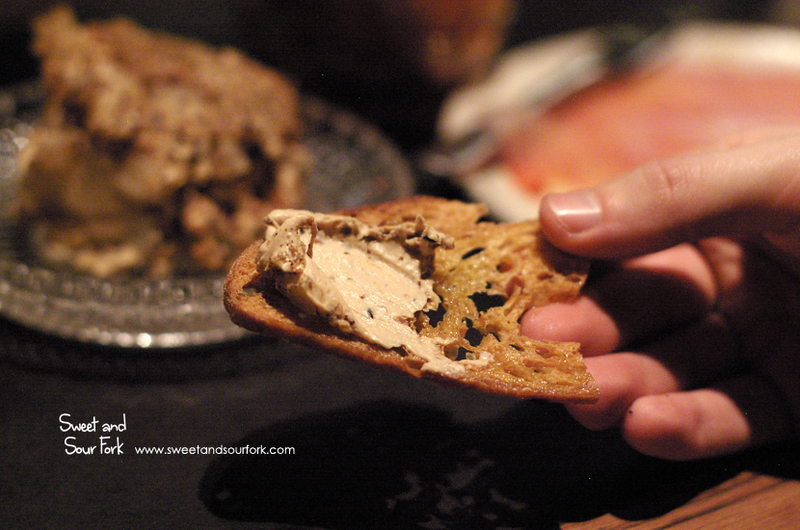 On the side was a dish of whipped fennel butter, the warm anise flavours complementing the nutty sourdough well. 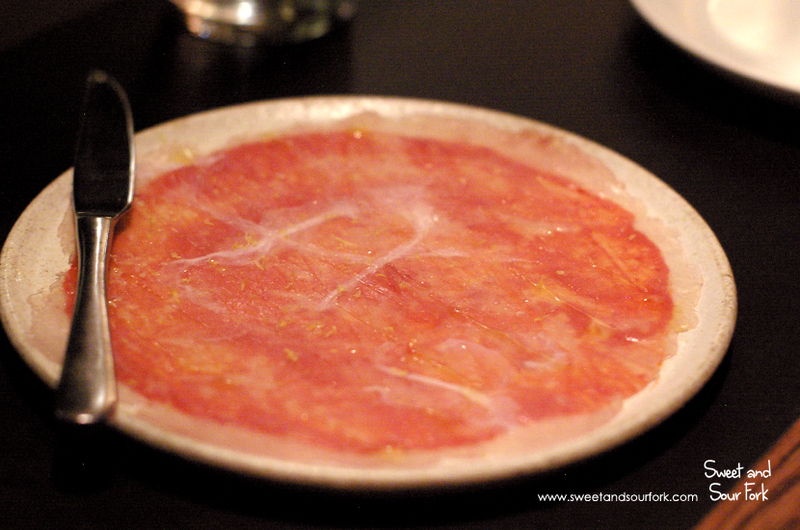 Despite the constantly changing menu, the Snapper Carpaccio, Sour Peppers ($14) appears to be a stalwart. The presentation of this dish is exquisite; the thinly sliced snapper is such a pale, translucent shade of pink that you can see the smears of pepper puree beneath. The taste is clean and fresh, with a smoky, spicy tang from the pepper puree. 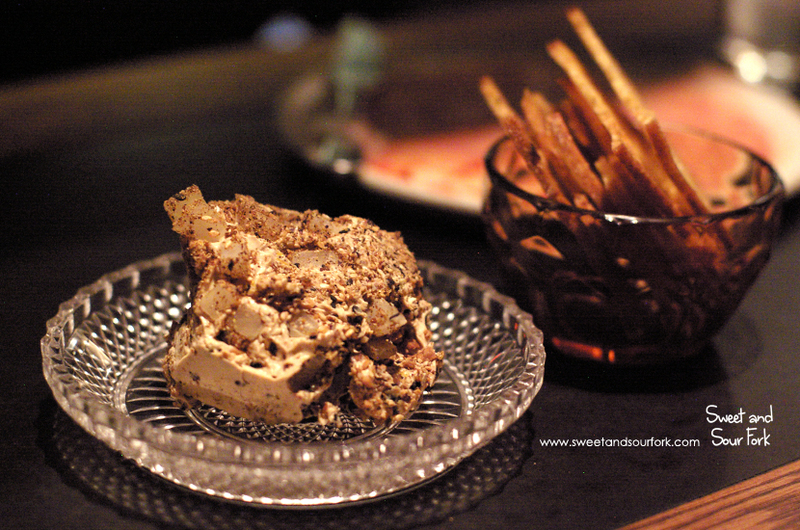 The Smoked Duck Liver Parfait ($16) came as another surprise. Instead of the usual slab, it was a rustic but surprisingly pretty dollop of light-as-air parfait, studded with pieces of orange and fennel, and finished with a sprinkling of roasted almonds. It spread smoothly over the accompanying pieces of toast, and between its crunch and the smokiness of the parfait, I couldn’t help but be reminded of cheetos! After a short break, we ventured into the more substantial dishes. 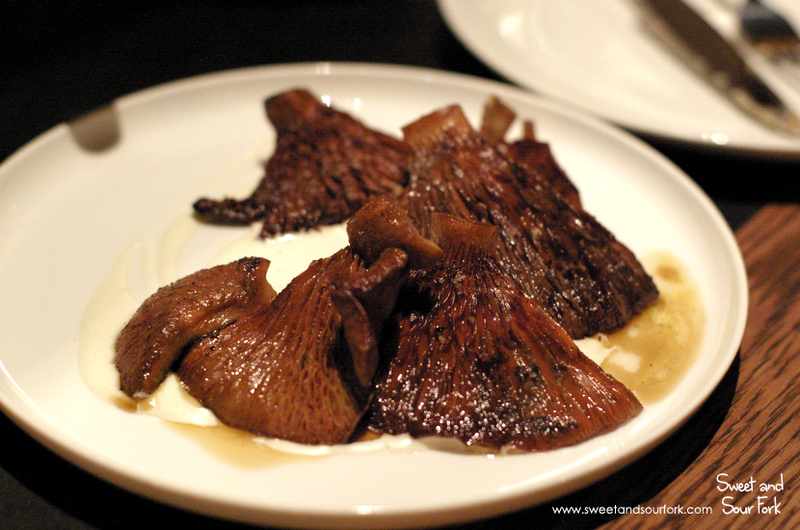 I can never go past a good plate of mushrooms, so the Pine Mushrooms, Rosemary, Soured Buttermilk ($15) was a no-brainer. Firm and meaty, the rich earthiness of these wonderfully fresh mushrooms was brought out by the light, creamy acidity of the buttermilk. These were so simple, but so good. 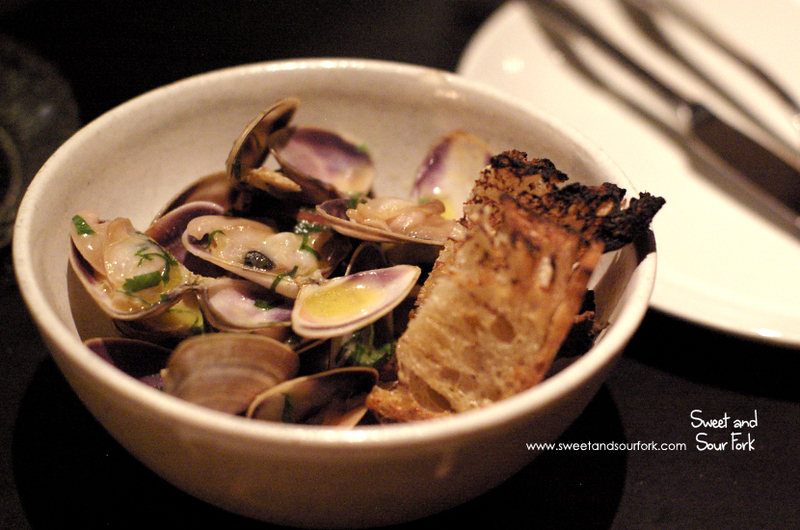 But if we’re talking simple yet delicious, then the Pipis, Serrano, Basil ($17) have the final word. I never knew just how sweet and succulent pipis could be, and they were unbelievably good cooked with just some fresh basil and salty Serrano ham. After I polished off the slice of toast on the side, I proceeded to dip the sourdough into the salty, briny broth until I’ve wiped up every last drop. 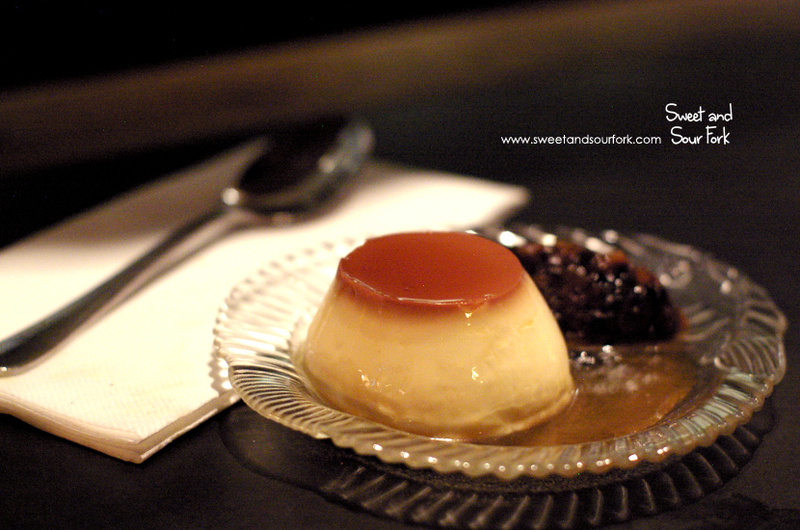 I was devastated not to have room for the chicken, but I did manage to fit in the Koji Crème Caramel ($12). Made with milk from St David Dairy, the higher fat content made for a crème caramel that was richer and more decadent than any I’ve ever had. It was so smooth that it barely stayed on the spoon, and dissolves in a wave of cream and sugar, and just a hint of nuttiness from the koji, the moment it touches the tongue. The scoop of burnt pear in stout sauce on the side was good for sure, but in the end all my affections were stolen by the crème caramel. I’ll admit, I’m now kicking myself for not having visited Embla earlier. The food served here is that miraculous kind where each dish seems so simple, yet manages to taste better than the most complex of dishes from another restaurant. Chris is normally neither a fan of mushrooms nor shellfish, yet he couldn’t stop raving about Embla’s renditions. The service is also meticulous – discreet and unobtrusive, but they’re right by your elbow the moment you need them, with a smile and a hint of a cheeky wink. This is, hands down, my favourite restaurant of the year so far. 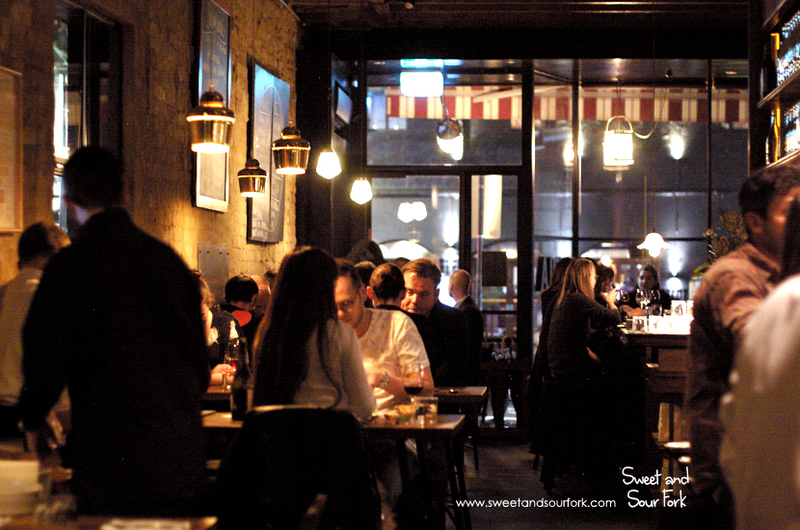 MoVida had better watch out, because it has some serious competition for my favourite after-work wine bar. Rating: 16/20 – ask and embla. Wow, really enjoyed this review. 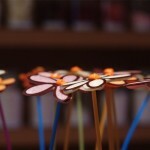 The food looks so delicious, I want to try every dish that you showed in your review. Now putting it on my must try soon list. Thanks.